At our dental office in West Caldwell, we recommend brushing for at least two minutes, twice a day, every day. But we know there are times when brushing may not be an option. Perhaps you forgot your toothbrush or ran out of toothpaste. When these things happen, it’s common to turn to the mouthwash instead. But is mouthwash an acceptable replacement to proper brushing? Let’s face it, the purpose of mouthwash is to freshen breath. But is it really doing its job? No. Mouthwash is only a quick fix for a fast burst of freshness, and using it repeatedly doesn’t fix source of the bad breath. Often the bad breath is a symptom, rather than the problem. When breath is chronically a little sour, it could be a sign of something more serious like gum disease. Gum disease is a scary problem that could lead to whole-body problems including increased risk for stroke, heart attack, or diabetic complications. That is why it’s important not to mask all signs of bad breath, but to recognize it as a warning to make an appointment with us as soon as possible!. 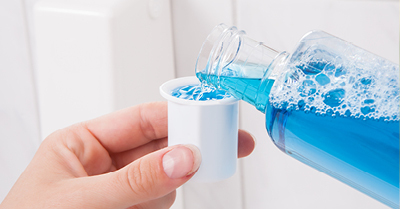 Using mouthwash as a substitute to brushing, or even more often than recommended, may actually cause additional damage. Many mouthwashes contain some level of alcohol. And too much alcohol is bad news for your mouth: It causes decreased saliva production which leads to a super-dry mouth, which means more bacteria. The more bacteria in the mouth, the worse the breath tends to smell. The only way to combat bad breath bacteria is by properly brushing and flossing at least twice a day and maintaining regular visits with your West Caldwell dentist. It’s normal to experience periodic bad breath, especially after eating or drinking certain things like garlic, onion, alcohol, and coffee. If you find yourself in a lunch-induced bad breath situation, choose a sugarless gum instead of mouthwash. It’s better for your teeth and works just as well, if not better than, mouthwash. 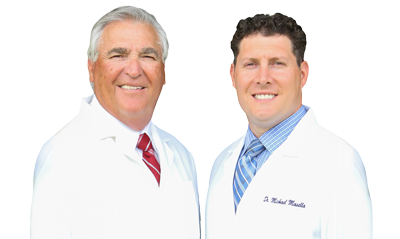 But if you or a loved one is suffering from chronic bad breath, call our West Caldwell dental office. We’re here to help work with you to identify the problem and get you on a path to resolve it. Welcoming patients from West Caldwell, Fairfield, and Roseland.